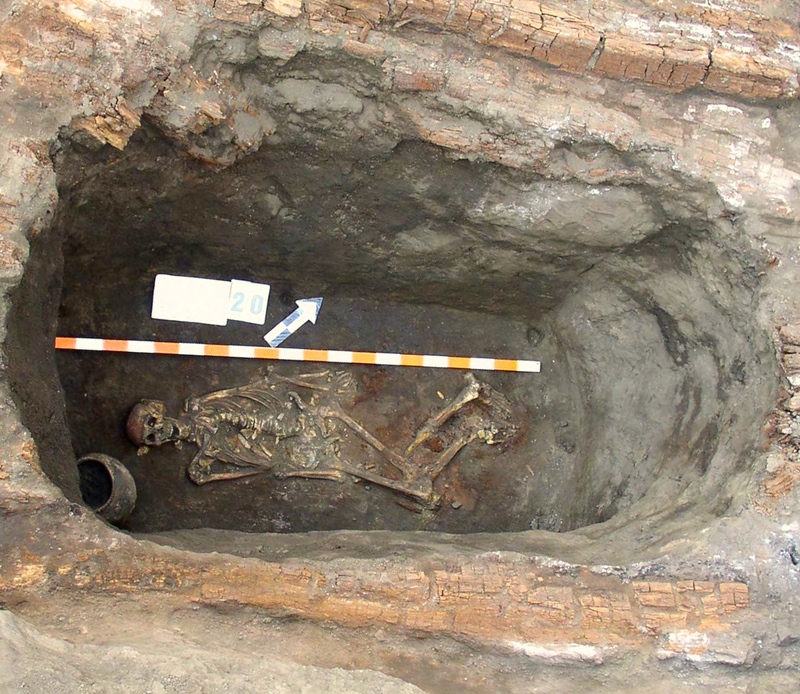 While investigating numerous genetic markers in archaeological and living individuals, Sandra Wilde of the Palaeogenetics Group at the JGU Institute of Anthropology noticed striking differences in genes associated with hair, skin, and eye pigmentation. "Prehistoric Europeans in the region we studied would have been consistently darker than their descendants today," says Wilde, first author of the PNAS article. "This is particularly interesting as the darker phenotype seems to have been preferred by evolution over hundreds of thousands of years. All our early ancestors were more darkly pigmented." However, things must have changed in the last 50,000 years as humans began to migrate to northern latitudes. "In Europe we find a particularly wide range of genetic variation in terms of pigmentation," adds co-author Dr. Karola Kirsanow, who is also a member of the Palaeogenetics Group at Mainz University. "However, we did not expect to find that natural selection had been favoring lighter pigmentation over the past few thousand years." The signals of selection that the Mainz palaeogeneticists and their colleagues at University College London have identified are comparable to those for malaria resistance and lactase persistence, meaning that they are among the most pronounced that have been discovered to date in the human genome. The authors see several possible explanations. "Perhaps the most obvious is that this is the result of adaptation to the reduced level of sunlight in northern latitudes," says Professor Mark Thomas of UCL, corresponding author of the study. "Most people of the world make most of their vitamin D in their skin as a result UV exposure. But at northern latitudes and with dark skin, this would have been less efficient. If people weren’t getting much vitamin D in their diet, then having lighter skin may have been the best option." "But this vitamin D explanation seems less convincing when it comes to hair and eye color," Wilde continues. "Instead, it may be that lighter hair and eye color functioned as a signal indicating group affiliation, which in turn played a role in the selection of a partner." Sexual selection of this kind is common in animals and may also have been one of the driving forces behind human evolution over the past few millennia. "We were expecting to find that changes in the human genome were the result of population dynamics, such as migration. In general we expect genetic changes due to natural selection to be the exception rather than the rule. At the same time, it cannot be denied that lactase persistence, i.e., the ability to digest the main sugar in milk as an adult, and pigmentation genes have been favored by natural selection to a surprising degree over the last 10,000 years or so," adds Professor Joachim Burger, senior author of the study. "But it should be kept in mind that our findings do not necessarily mean that everything selected for in the past is still beneficial today. The characteristics handed down as a result of sexual selection can be more often explained as the result of preference on the part of individuals or groups rather than adaptation to the environment." 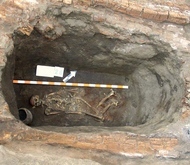 Grave with an about 5,000 years old skeleton from a kurgan of the Yamnaya culture near the town Kirovograd in Ukraine.